Shadowboxing can be an excellent way to lose weight. Shadowboxing -- simulating boxing to improve the techniques that will be used in a match -- can help you lose weight and improve your cardiovascular and physical fitness, hand speed, agility, reflexes and coordination. Shadowboxing can be more beneficial when you’re boxing with weighted gloves or dumbbells, but too much weight can be counterproductive. You’ll burn more calories shadowboxing if your exercise is longer and more intense. Your heart rate measures your exercise intensity. You’re exercising vigorously when your heart rate is 70 to 89 percent of your maximum heart rate and exercising moderately when your heart rate is 55 to 69 percent of its maximum, according to the American College of Sports Medicine. Your maximum heart rate is 220 heartbeats per minute minus your age. Shadowboxing vigorously with or without weights burns more calories than doing the same exercise moderately. Calorie-burning charts don’t list shadowboxing, but 155-pound people burn an average of 739 calories per hour when they're bicycling vigorously and 493 calories per hour when they're bicycling moderately, according to Wisconsin’s Department of Health and Family Services. Heavier people burn more calories than lighter people. One pound equals 3,500 calories. You can increase the intensity of your shadowboxing exercises by moving more. Shadowboxing can be a total body exercise if you move your feet like Muhammad Ali and practice avoiding punches by constantly moving your head and upper body like Joe Frazier rather than just practice throwing punches. Moving forward and backward and from side to side while you’re shadowboxing increases how many calories you burn. That’s why sparring with boxers burns more calories than boxing punching bags. Sparring burns an average of 633 calories per hour if you’re 155 pounds, while boxing punching bags burns 422 calories per hour, according to Wisconsin. Boxing with weights increases how many calories you burn because it requires more intensity. 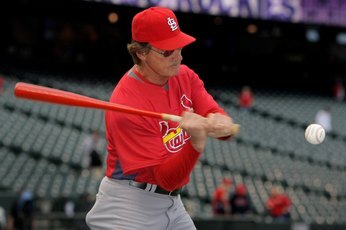 Shadowboxing with weights can improve your punches’ speed and force the same way that swinging a baseball bat with weights can improve your swing’s speed and force. Faster punches help your boxing defense as well as your offense because opponents often can’t throw punches while they’re trying to avoid punches. However, using weights that are too heavy isn’t advisable because they can impair your punching technique and hurt your arms, shoulders and wrists. Using 3-pound weighted gloves is the best option. You can also use two dumbbells that are 3 pounds each, but holding onto them while boxing can be difficult. Shadowboxing’s best weight-loss benefit could be that it prepares you for matches. Boxing in a ring ranks 13th in calories burned among the 175 exercises on Wisconsin’s list. It burns 844 calories or about one-quarter of a pound per hour in 155-pound people. You should practice a variety of punches and punching combinations before even sparring. 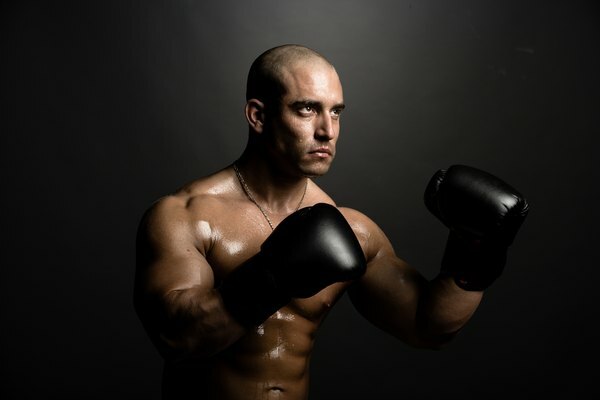 First, you should practice a variety of punches, including crosses, jabs, hooks and uppercuts. Then, you should practice throwing these punches in a variety of sequences, while pretending to avoid your opponents’ punches. Practicing in front of large mirrors or watching yourself on videotape can be instructive. SteadyHealth.com: What Are the Benefits of Boxing? Should You Use Wrist Weights With a Trampoline? How Many Calories Do You Burn When Punching a Punching Bag? 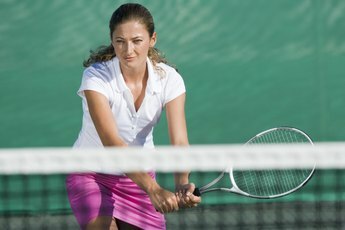 What Are the Safety Precautions for Tennis?